In the movies, a heart attack is depicted as a dramatic moment”the person clutching his or her chest (usually his) and crying out in pain. In reality, women can suffer a heart attack without any chest pain. The experience might feel like extreme fatigue, pain in the back or jaw or light-headedness. With such apparently small symptoms, a life or death moment can be hard to spot. It’s important for women to know how to identify a heart attack and what to do when it happens. Women are more likely than men to experience these other symptoms with or without chest pain. If you experience these symptoms, call 911 or the emergency number in your neighborhood and chew aspirin as directed by a doctor. It’s important to act quickly to limit damage to the heart. Taking aspirin prevents the blood’s ability to clot. By inhibiting the growth of the blood clot, some blood may be able to reach the heart to prevent further damage. Bayer Aspirin and WomenHeart: The National Coalition for Women with Heart Disease, have teamed up to start Handbags & Hearts, a campaign that encourages women to carry aspirin in their purses in case of emergency. For $5, they’re offering a Heart Attack Preparedness Kit with your emergency aspirin, warning signs of a suspected heart attack and tips for what to do in case of a heart attack. If you have symptoms of a heart attack, call 911 right away. If you don’t have an aspirin allergy, EMS personnel may ask you to chew one standard, 325-milligram aspirin slowly. It’s especially effective if you take it within 30 minutes of your first symptoms. It can increase your chance of having stomachulcers and abdominal bleeding. 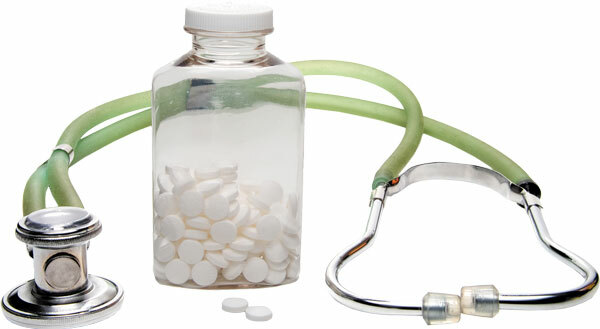 Aspirin can greatly reduce the damage to your heartduring a heart attack. Don’t break, crush, or chew extended-release tablets or capsules — swallow them whole. Chewable aspirin tablets may be chewed, crushed, or dissolved in a liquid. Children younger than age 18 who are recovering from a viral infectionsuch as the flu or chickenpox should not take aspirin.